Misty seascapes against a mountainous backdrop, a haunting ambience and a sea steeped in history, all situated in one of the most warred over regions on our planet. We tumbled off the bus, straight into the humid, humid air. 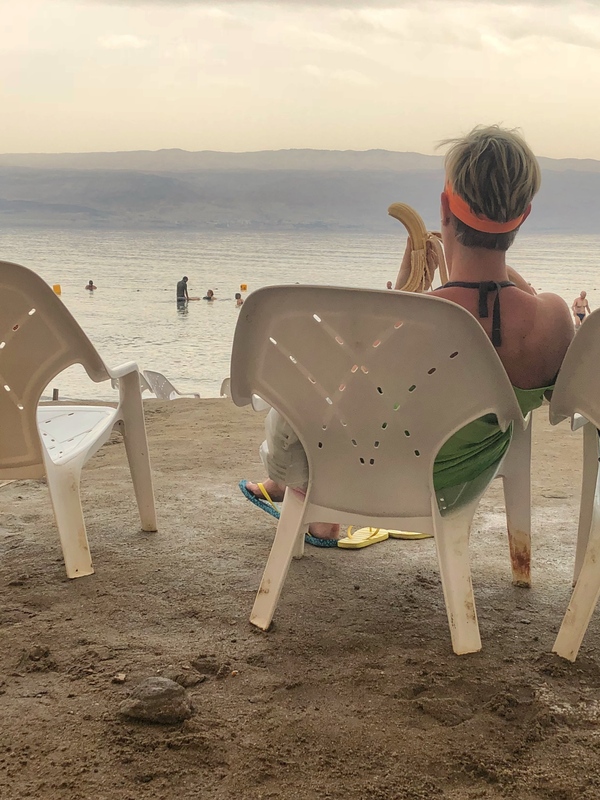 We are travellers in search of The Dead Sea, the holy grail of ‘the gram’. Or the mystical body of water that spans the contentious borders of Israel, Palestine and Jordan. If you venture down to the lowest point on the planet, to Earth’s saltiest sea, you expect weirdness right? The Dead Sea does not disappoint. Humans from around the world flock here. Some come to Instagram their floating prowess in a sea that doesn’t allow you to sink – ‘we all float down here’. Whilst others seem more keen to lather on the gloopy mud and walk like zombies arms outstretched baking it on in the Middle Eastern sun. We’re all here asking the same questions. 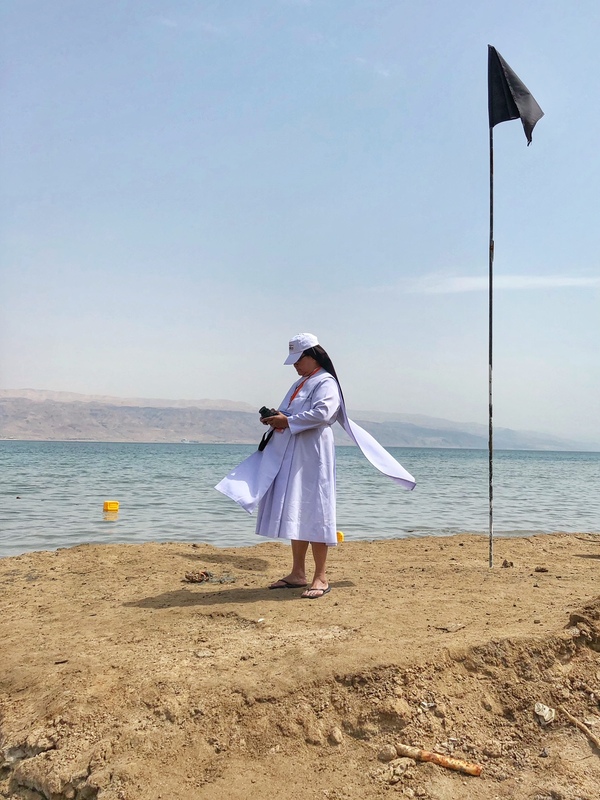 Can you really float in the Dead Sea? 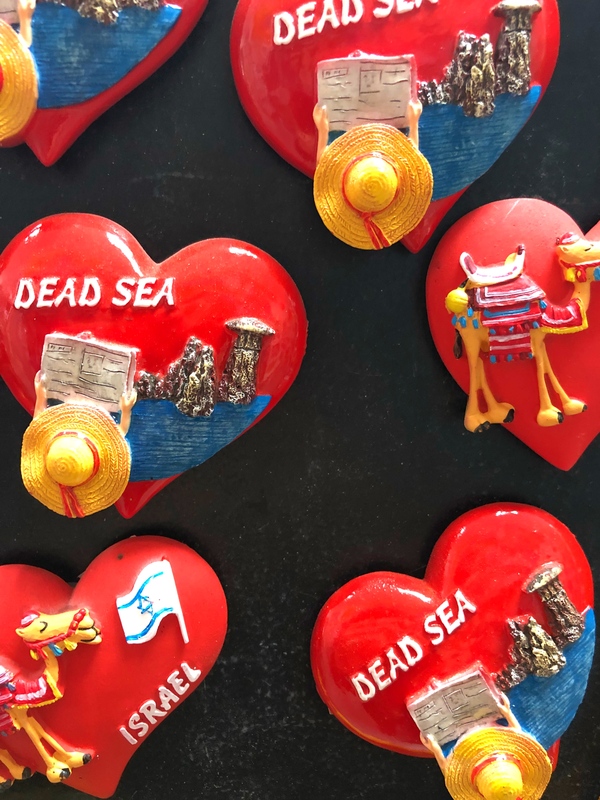 Do fish live in the Dead Sea? 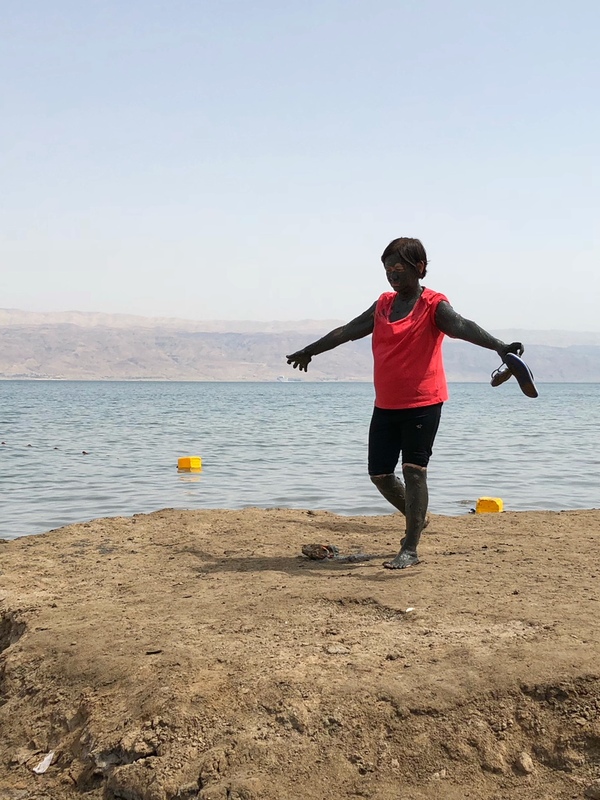 Why is the Dead Sea dead? Yes, No and because we’re more than 400 metres below the normal sea level and it’s ten times saltier! 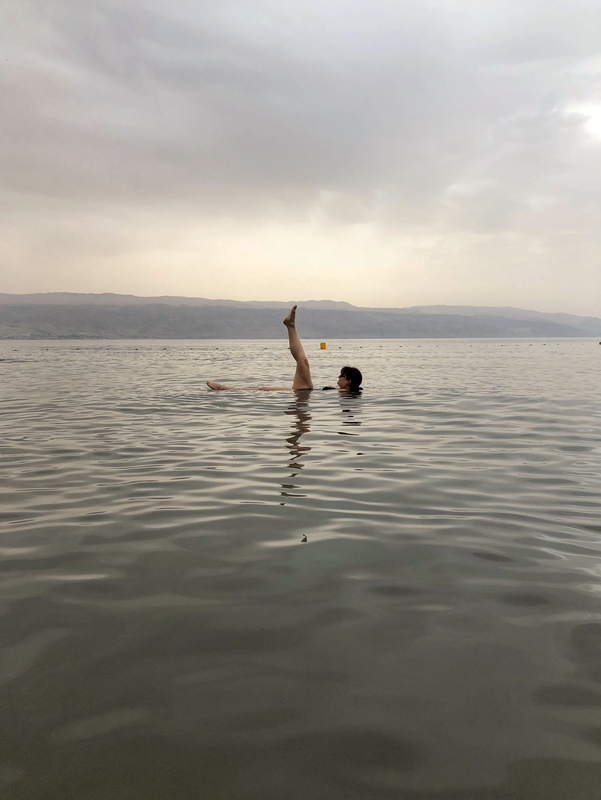 Can you really float in The Dead Sea? Just raise your knees to your chest and voila! Do not shave beforehand, do not open your mouth, do not splash your eyes. Avicii dominates the airwaves in homage to his recent departure from this world as he’d sadly taken his own life just the night before. 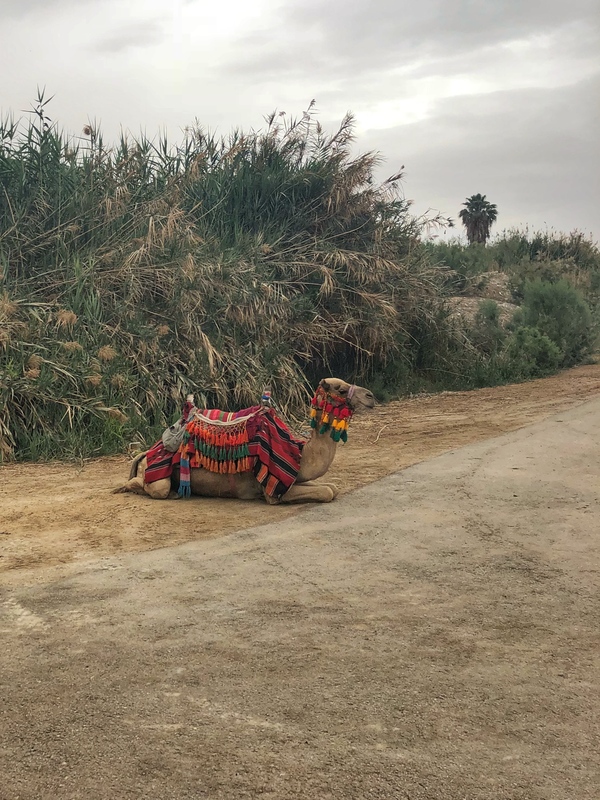 His tracks blast across the rugged terrain as an adorned camel resists the urge to throw his back-load of holidaymakers onto the hardened cracked ground. Staff listless in the heat man the bars, serving draught beer, hotdogs and loosely cling-filmed hummus. As bus loads of curious humans arrive, the changing rooms descend into flailing limbs and pointy elbows, dignity disappears as we race towards the sea. 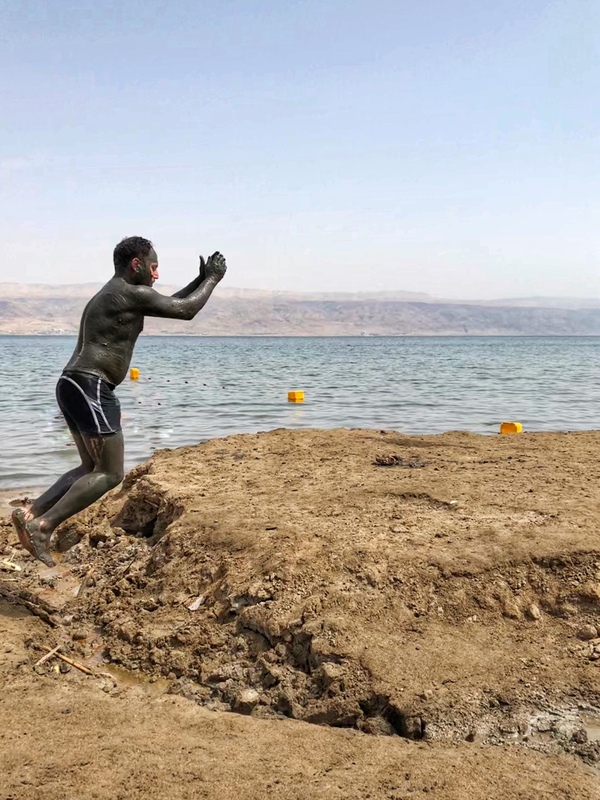 Did you know The Dead Sea is disappearing? It’s evaporating at an alarming rate and although there are projects underway to keep it as a sea I’m cynical. In years to come instead of floating photos will people travel to take selfies on the salt flats? Similar to Bolivia’s pure white salt planes, developed to give us photographic optical illusions. Oh Mother Nature! People are weird and The Dead Sea resort we ended up in catered for that weirdness. If one of your hobbies happens to be watching weird people, then this is your weird people watching nirvana! A sensible Dead Sea snack. Easiest coastguard job in the world? Manning the sea where people cannot sink! 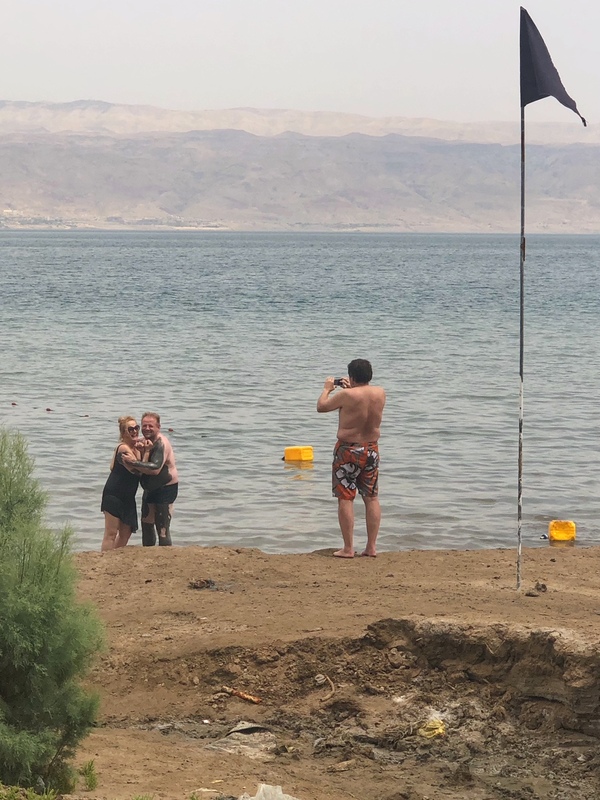 Was this a local Dead Sea experience? 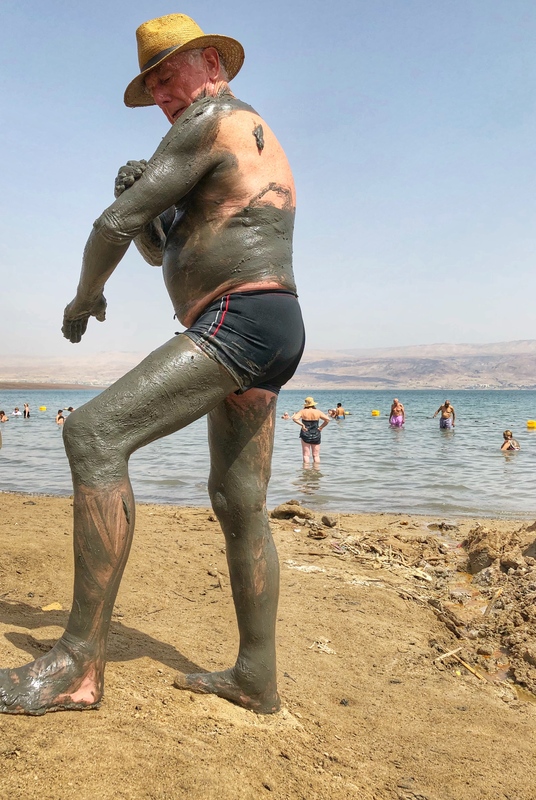 Amongst the bus loads of tourists from around the world, religious groups and those seeking to treat skin conditions with the famous mineral rich mud, were locals. 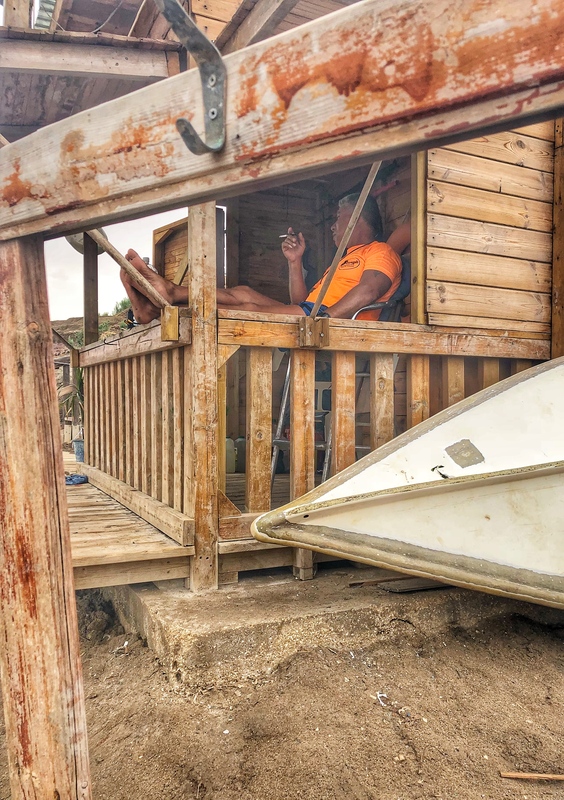 Mostly local families, firing up BBQs, smoking Hookahs, rarely venturing down the steps to the sea, but playing lazily in the humidity on the zingy green astro-turf. Sitting back on the plastic chairs, soaking in Avicii’s now haunting lyrics watching little ones play in the resort swimming pools. Perhaps it was a local experience after all.